This is not an easy book. Hunger takes the reader into the proverbial trenches of one of the most dangerous outposts of Americas most dangerous war. He demonstrates viscerally why we have been fighting in vain in Afghanistan for eighteen years and he does it through the eyes and ears of the men who face meaningless wounding and death every hour of every day. It's a very educational read for anyone who has not been through the experience of infantry combat. But a very painful one. 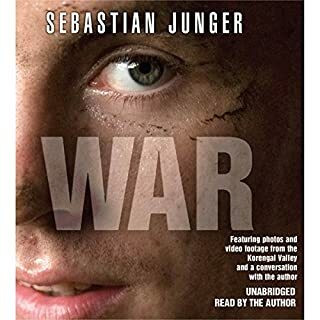 We meet these young men and feel their joys, comradeship, confusion and pain as Junger relates his experience as an embedded journalist for fifteen months with a platoon. Living with these men he comes close to knowing and understanding what they're going through. I'm pretty sure you will too if you undertake this painful experience. 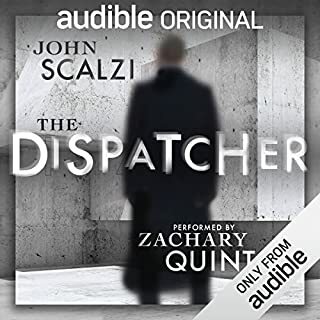 Starting from a fascinating concept, this little novella was interesting and well-written enough but not enough to get me to seek out more from Scalzi. Quinto’s narration was good and fit the character. Painful tale of Brotherly Love. Horrible, inappropriate musical score made a painful play almost unbearable! I chose this book because I enjoyed the ideas explored in the Wayward Pines Series. 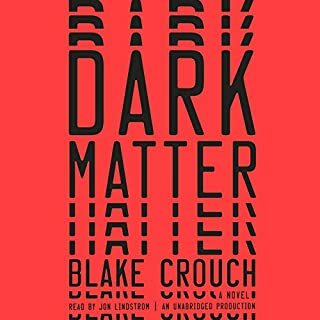 Like those works, Dark Matter starts slowly but is filled with an eerie sense that bad things will follow. They do. But they unfold slowly wrapped in a fair amount of theoretical physics and the main character’s interior life. Once we get past that we enter the labyrinth of multiverses that, for me, went on far too long. The action picks up and engages the reader till the end. The last fifth of the novel saves the day and makes this an ultimately enjoyable and thought provoking read. Every choice we make opens the door to a whole universe of options. And closes the doors to an infinite number of others. Ward’s tale encompasses so many aspects of a rural Black family’s life. Told through the eyes of a young teenage boy trying to figure life out. He sees life through the eyes of his Pop, the ideal Man who knows life through Nature, Family, Race and his experiences at Parchman Farm. He sees it through his junkie Sister in love with her recently imprisoned Husband, his dying Mam and his clinging Baby Sister. Maybe most of all he sees and hears it through the horribly abused ghost of Richie, a boy beaten, tortured and lynched by a Parchman guard. Richie and the army of ghosts he invokes warn JoJo of the life awaiting him. 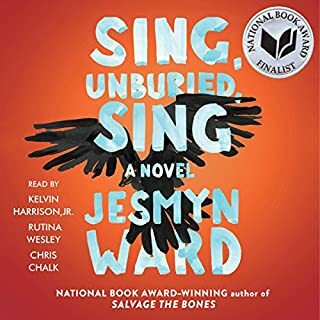 The reader experiences the emotions of all these characters in this painful story that probably accurately captures the struggles of a rural Black family in today’s America. Sad. This roller coaster of poetry and observation, angry rant and remembrance of passions past was a wonderful trip inside the mind of an amazing hundred year old man. Autobiography of a fractured childhood interrupted by bursts of poetic imagery filled with references to every book, movie, song and bit of wisdom ever created by the “civilized” World. 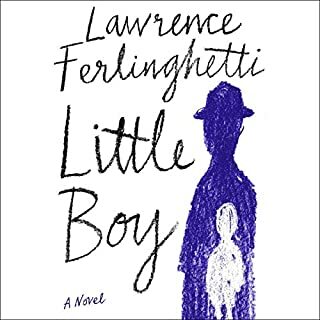 The bits and pieces of Ferlinghetti’s life story float along amidst his recollections of people, places and experiences he has known. Every one of these moments evokes a reflection of his philosophy of life and his often angry, often rapturous reaction to it. He uses the tale of his early life to warn us of what we have lost and the accounting coming due for what we have become. He recounts the beauty and wonder he has known and looks forward to more of the same knowing full well that he and we will probably never know their like again. So, reading Little Boy may not be all sunshine and butterflies but the poetry of its words and the scope of its worldview made it for me a highly rewarding moment I won’t soon forget. Peter Coyote’s narration brought a perfect dramatic sensitivity to the Old Beatnik’s words. As a fellow Old Man I thoroughly enjoyed following the twists and turns of the plot and the various wiles this old man employed in his long career as a fugitive. His long life had supplied him with the wisdom to stay one step ahead of his pursuers. His planning, anticipation and the tools he employed were believable and quite effective. Perry’s characters were well drawn and their actions consistent with their roles. I was particularly impressed by the careful documentation of each of the locales where the action took place. The reader feels the topography, weather and atmosphere of each. 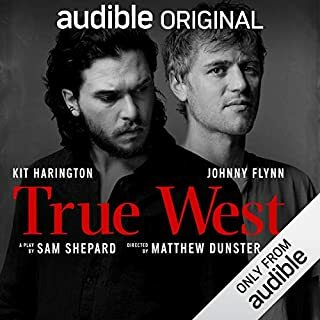 The book may have seemed a little longer and slower than necessary at times, but I thought he did a good job of evoking the life patterns of an older character driven by a passion to survive and care for the people important to him. Unlike a few other reviewers I enjoyed the narrator and felt he captured the mood appropriate to the action. 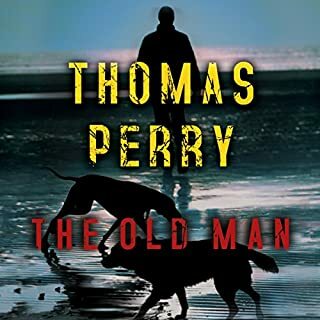 All in all I enjoyed The Old Man and look forward to listening to other Thomas Perry books. We don’t know what we don’t know about Climate Change. 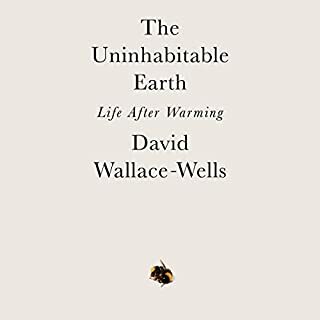 This relatively short book does an excellent job of documenting the whole spectrum of effects of the impending Changes that will befall the planet. We have all heard of the threat of sea level rise that Climate Change will bring. We know that coastal communities will be inundated and island nations will be wiped out, but the picture is much worse. Wallace-Wells charts the effects of a two degree increase in temperature on natural disasters, wildfires, freshwater, air pollution, immigration, conflict, economic collapse, and so much more. The cascade of statistics can be mind numbing. The book doesn’t read like a novel. It’s more like a cross between a Science Textbook and a Horror Movie. But the numbers are real. The most frightening conclusion of the book is the interdependence of Biological, Physical, Political and Economic Systems impacted by Warming. The links between these systems serve as a force-multiplier doubling or quadrupling the impact of the threat. This is the part that is seldom reported. The News concentrates on the effects on Polar Bears, but doesn’t describe the 1% loss of World GDP caused by a 1 degree Celsius and what that does to the Labor Market, immigration and Political Party loyalty. With Global Warming we’re looking at a future with a shrinking planet, ruled by political and economic systems we won’t recognize. The efforts of the World Community like the Paris Climate Accords pale into insignificance in the face of the challenges we face. It is too late to defeat the inevitable, but we can take steps to learn to live in this New World. The Earth and the Human Race will survive, but it will be a different place and we will be a different people. A Love Affair. Such a simple thing, even if complicated by adultery, can contain so many emotions: affection, love, longing, loneliness, fear, anger, pain. All these are traced in Greene’s obviously personal tale of Bendrix and Sarah Miles. 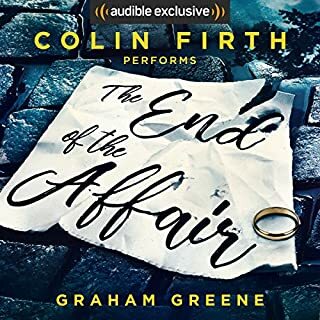 Greene’s words, Firth’s voice and rainy London under the Blitz combine to give this telling of a tragically doomed affair taking place under the eyes of Sarah’s sad, repressed and impotent husband Henry. Told by first person narration and diary entries, the story unfolds in a series of twists and turns that keep the reader constantly engaged. 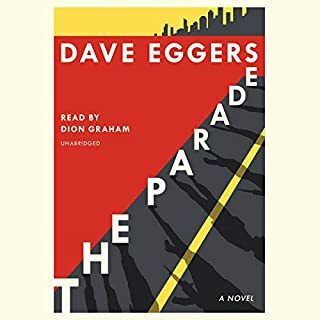 As usual the writing is beautiful, detailing the thoughts and feelings of the characters as they engage in the most mundane daily activities in the melancholy atmosphere of Wartime London. Only the interjection of Greene’s religious obsession, while necessary for one of his “Catholic”novels, seems out of place. This was a powerful story without a theological discussion rearing it’s ugly head. I’m sure Greene thought it critical but I felt it detracted from the powerful love/hate story. I join the other reviewers in their reverence for Colin Firth’s performance. It probably even outshone the prose, but, in any case, definitely enhanced the experience. Whether you’re a fan of Graham Greene or not, The End of the Affair, is a great read.